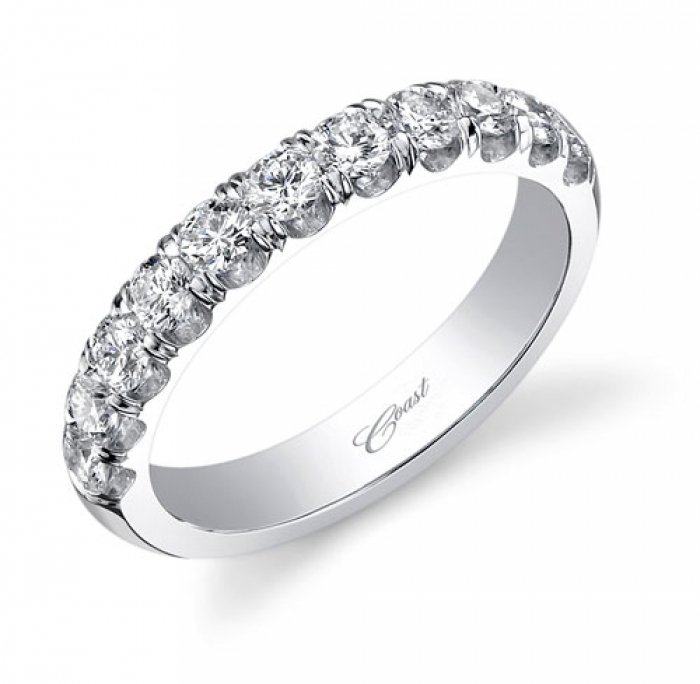 the ultimate diamond wedding band, featuring .75 carats of round brilliant diamonds and set in platinum. What a treat! Visit your local Coast Diamond authorized dealer to find this ring – WZ5001H – and other stunning diamond engagement rings and wedding bands. 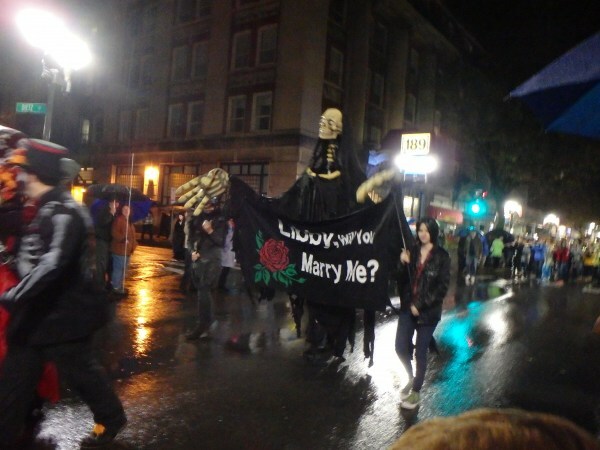 What we do wholeheartedly suggest is proposing with an engagement ring that reflects her love of fall colors, orange pumpkins and the Halloween holiday. May we suggest this Coast Diamond orange padparadscha sapphire surrounded by halo of diamonds, set in platinum? 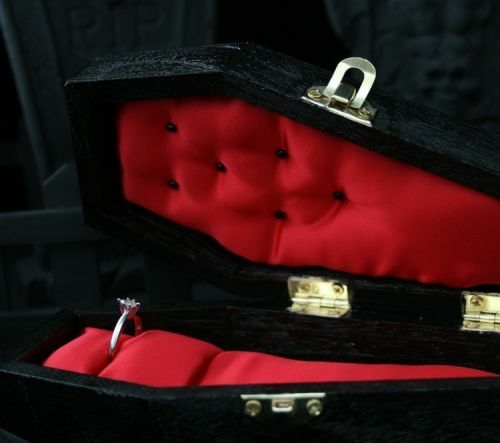 If you’re popping the question this Friday to your favorite witch, ghost, pirate or Wonder Woman, be sure to share your Halloween proposal pictures with us on the Coast Diamond Facebook page. 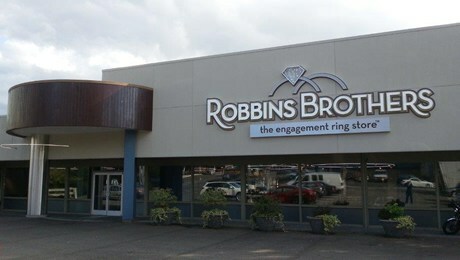 When couples in Washington, Southern California and Texas are ready to get engaged, they visit the store that’s helped thousands find the perfect engagement ring: Robbins Brothers, The Engagement Ring Store. Coast Diamond is honored to be one of the featured designers at Robbins Brothers, The Engagement Ring Store and have our Charisma, Romance, Allure, hand engraved, rose gold, halo rings and wedding bands available at their 14 locations. One thing we love about Robbins Brothers is their focus on the engagement ring, the one symbol of love that represents the promise between two people committed to forever. Everyday at their stores in Dallas, Houston, Seattle, Bellevue, Los Angeles, Orange County, Riverside and San Diego you’ll find women trying on engagement rings, sometimes for hours, looking for the one ring that exceeds her wildest dreams. 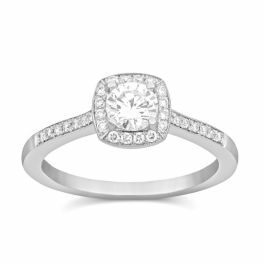 Customers also receive a thorough education in diamonds from the experts at Robbins Brothers, who then help the couple select the perfect diamond that will be the center stone in their Coast Diamond engagement ring. The customer service doesn’t stop at the ring and diamond: Robbins Brothers helps out with the proposal planning, ensuring that the marriage proposal is just as perfect as the engagement ring. They’ve set up proposals as simple as sending a team out to Huntington Beach to draw a heart in the sand, with the words “Will You Marry Me” illuminated with hundreds of candles, to elaborate proposals in planes, restaurants, and even on national TV shows. Every Valentine’s Day week they partner with five lucky customers to pop the question live on KTLA Morning News, too. Robbins Brothers, as a Coast Diamond authorized dealer, can also special order any rings from our Signature Color Collection. 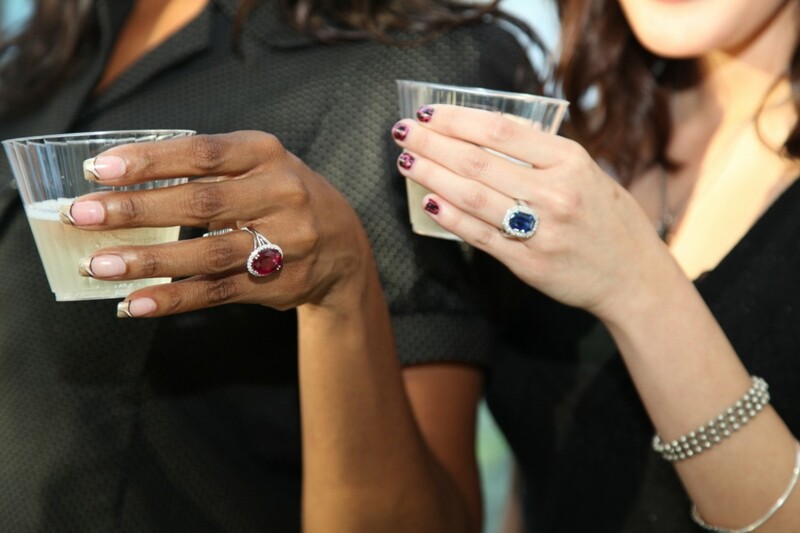 If you want a truly unique ring and desire a rose color sapphire, a yellow sunshine diamond or a vivid red ruby, let your Robbins Brothers team know and they’ll be happy to bring a one-of-a-kind piece in for you to try on from Coast Diamond. 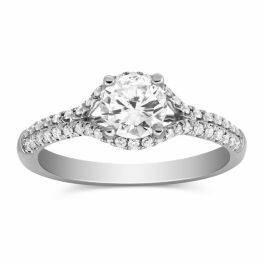 Visit Robbins Brothers, The Engagement Ring Store to find the Coast Diamond engagement ring of your dreams and also get help with a marriage proposal that will make you the envy of your friends and family. Click here to find a Robbins Brothers near you, and shop with confidence knowing that you’re in good hands at a Coast Diamond authorized dealer. Brides-to-be love love love this deep blue oval sapphire with two moon cut diamonds that form a breathtaking centerpiece for this platinum ring. 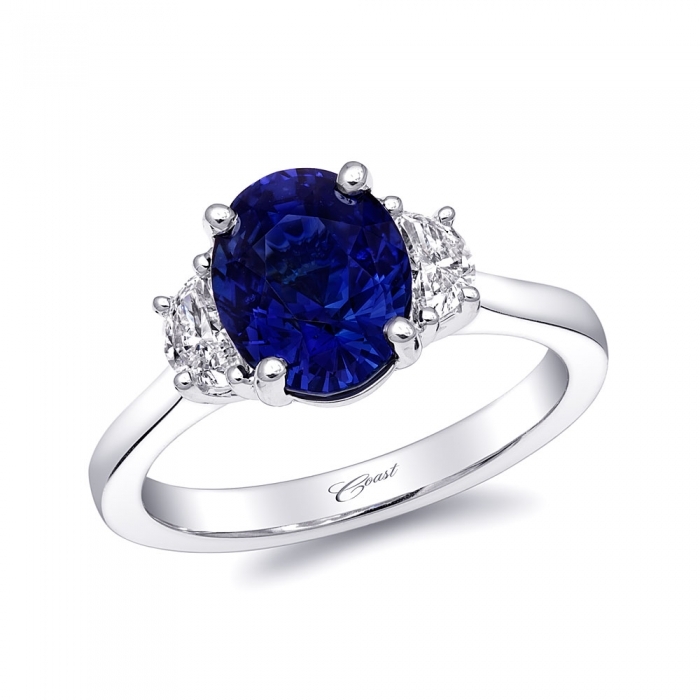 The sapphire is 2.73CT, unheated, GIA certified and is the ultimate “something blue” that will be cherished for a lifetime. Join in on the fun! Click here to add your favorite Coast Diamond engagement rings to Engagement 101’s Instagram take-over party all week and be sure to follow Coast Diamond on Instagram to share Coast ring pics everyday! Anyone who lives in Nebraska knows Borsheims. 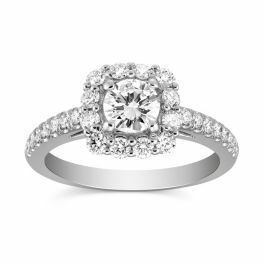 Founded in 1870 in downtown Omaha by Louis Borsheim, the store is now located at the Regency Court Mall and offers shoppers more than 100,000 pieces of jewelry, engagement rings, wedding bands and watches. The investment community is also very familiar with Borsheims as a major part of Warren Buffett’s famous Berkshire Hathaway portfolio, and recall the time when Microsoft founder and fellow philanthropist Bill Gates played bridge with Mr. Buffett at this midwest jewelry store. Coast Diamond is honored to be part of the bridal collection at this beautiful shop that covers over 62,500 square feet. 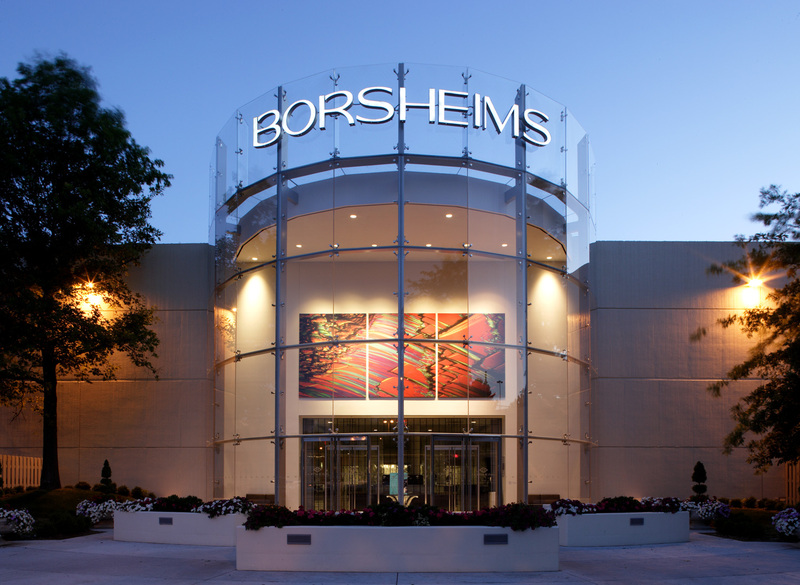 Visit Borsheims this month to try on engagement rings in their Classic Collection, go ahead and start your search right now at www.borsheims.com. 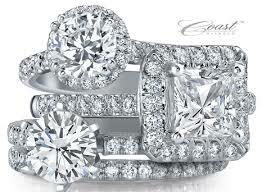 Borsheims is a Coast Diamond Authorized Dealer.